To make your own clothes is not the simplest of crafts and hobbies, because it requires some experience with design patterns, fabric choices as well as using a sewing machine. Despite all this, dressmaking is definitely coming back in fashion in recent years due to a number of factors. A recent survey by the Craft & Hobby Trade Association has concluded that over 1 million people have started sewing in the last three years. Also, the 60% surge of sales of sewing patterns at Hobbycraft in the last year is a sign that people are taking up more sewing projects and that home garment making is becoming increasingly popular. According to some, the reason why more people prefer to sew their own clothes in the 21st century is the rise of overt consumerism of modern society. People are getting tired of following the mass and the common fads and prefer to make their own clothes which are one of a kind, unique and unusual to stand out from the crowd. Plus, sewing and dress making is an excellent craft for utilizing ones imagination and a chance to explore one’s creativity and inner talents. People who are already engulfed in their own dress making know the excitement and great feeling of being able to turn their own ideas into an actual tangible garment which can be worn. The sense of pride of making something so special by your own is also overwhelming and sensational. People who do not approve of the modern fast fashion industry now are turning to the old times when people used to sew their garments or had their clothes custom made by tailors. This tendency seems to be growing and it looks like dressmaking could become even more popular in the near future. So, for those of you who have already made up your minds about the benefits of home dress making, there are some matters which need to be handled, so that you can pursue your ideas and work on your projects. The first and utmost problem which many aspiring dressmakers are facing is the lack of time for the actual garment making. Many sewists have day jobs, a family and home to care for as well as numerous other activities and errands to do, and find it difficult to fit in the sewing into their busy schedules. A great rule of the thumb is to plan ahead and create a schedule which has time allotted for your hobby – be it early in the pre-dawn hours before everybody is up, or late in the evening when the family has already had dinner and everybody is relaxing or sleeping. Another factor which has inspired more people to start sewing their own clothes and accessories is the money they save. You may love that designer dress or shirt but cannot afford it – so why not make it yourself? True, good quality fabric can be expensive, but given the unbelievable prices of the leading fashion brands – it is still a much more affordable option for the majority of people. More seamsters are enjoying adding incredible garments to their closets without having to break the bank. Plus, most ladies will agree that the less they spend on clothing, the more free cash they have for other pretty and fun stuff such as shoes, bags and other accessories. Another important point which enthusiast dressmakers are making is that when you take the time to make your own piece of clothing it is more likely that you will wear it more often rather than throw it out or give it away after a season or two. In addition, one of the greatest benefits of being able to sew your clothes is that you can custom make it to fit your body proportions and size perfectly, rather than desperately searching for and trying on commercially made clothes which completely complement your body shape and size. Other people interested in making their own garments are feeling insecure and even scared to actually make the step and begin sewing. 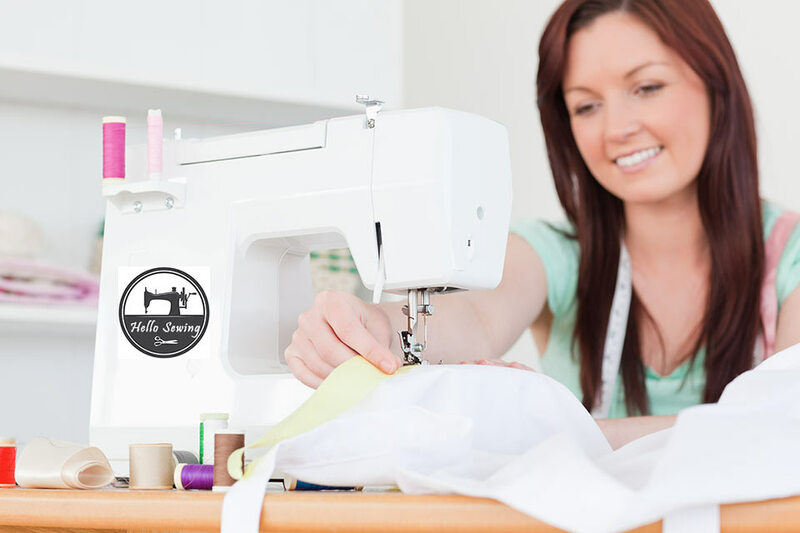 Experienced seamsters encourage all newbies to go ahead and take some time to learn the basics in sewing, including: working with patterns and using a sewing machine for making clothes. Only then go ahead and start working on a simple project for starters, then move on to more complicated ones once their confidence level rises. Remember to start with sewing clothes which you actually love and want to wear. This is inspiration and motivation enough to complete the project, do your best and not abandon it due to frustration or boredom. Think about the numerous benefits and positives which your own dress making will bring you. You won’t need to spend hours and hours in crowded stores and shopping malls looking for something which fits you perfectly and which you feel good wearing. Instead of buying, you can make your perfect piece of clothing by yourself, at home, and at a great price! You can turn even your wildest ideas for a garment into reality by taking out that sewing machine and start stitching. Plus, you are able to control exactly what kinds of fabrics, threads and other materials you put into a garment, and also who is working on making the clothes you will be wearing, which is especially helpful if you are living a lifestyle supporting ethical fashion and clothing! By learning how to make your dresses, shirts, tops, skirts and even lingerie, you will acquire a set of very practical skills which you can use for making or fixing other things as well. Many people claim that sewing helps them relax and release the stress of the everyday busy life. Stitchers claim that they can take the time to listen to their favorite music, an audio book or even watch their favorite TV show and sew at the same time as a nice and relaxing and at the same time useful and fulfilling activity. Last but not least, when you join the local and global sewing community you will be amazed at the strong connection, understanding and new friendships which you will make among the people who love dress making and sewing!